If - for some strange reason(!) 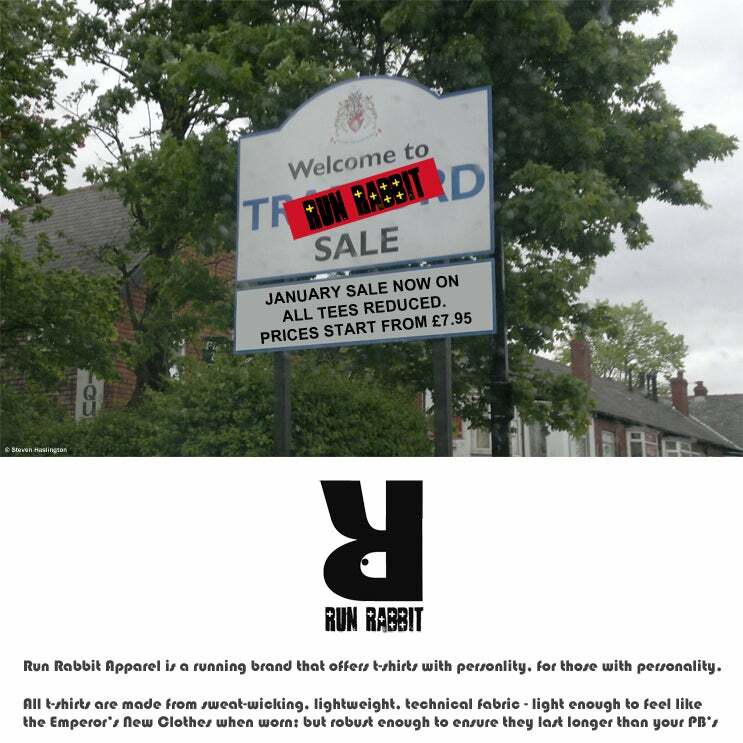 - you are not satisfied with the item(s) you have purchased from us then, within seven days of purchase, send us an email to us@runrabbitapparel.com stating as such (and a reason why, would be very helpful to us). Upon receipt we will issue you with a Return Merchandise Authorisation Number. You may return the item(s) to the address provided in our email, along with the RMA Number issued, within thirty days. Provided the above has been adhered to, and the returned item(s) is/are in it's/their original state (unworn; defect free; tag attached &c.) and packaging, you will be entitled to a full refund, except in respect of any charges levied for the initial posting and packaging. Please note that you are responsible for the cost of returning the item back to us and also for, in the unfortunate event of, any item(s) lost on inward transit to us. If you wish to exchange your item(s) – such as in the case of requiring a different size - then, within seven days of purchase, send us an email to us@runrabbitapparel.com stating as such. Upon receipt we will issue you a Return Merchandise Authorisation number. You may return the item(s) to the address provided in our email, along with the Return Merchandise Authorisation number issued within thirty days of purchase. Provided the above has been adhered to and the returned item(s) is/are in it's/their original state (unworn; defect free; tag attached &c.) and packaging, you will be entitled to an exchange to item(s) of equal value. Please note that you are responsible for the cost of returning the item back to us and also for, in the unfortunate event of, any items lost on inward transit to us. In the event of the received item being damaged prior to receipt, or not being what was ordered then, within seven days of purchase, send us an email to us@runrabbitapparel.com stating as such and a description of the problem. Upon receipt we will issue you a Return Merchandise Authorisation number. You may return the item(s) to the address provided in our email, along with the Return Merchandise Authorisation number issued within thirty days of purchase. Provided the above has been adhered to and the returned item(s) is/are in it's/their original state (unworn; tag attached &c.) and packaging, you will be entitled to a full refund, except in respect of any charges levied for the initial posting and packaging, or an exchange. We will pay for any reasonable cost in posting the item(s) back to us, though you will be responsible in the unfortunate event of any items lost on inward transit to us.